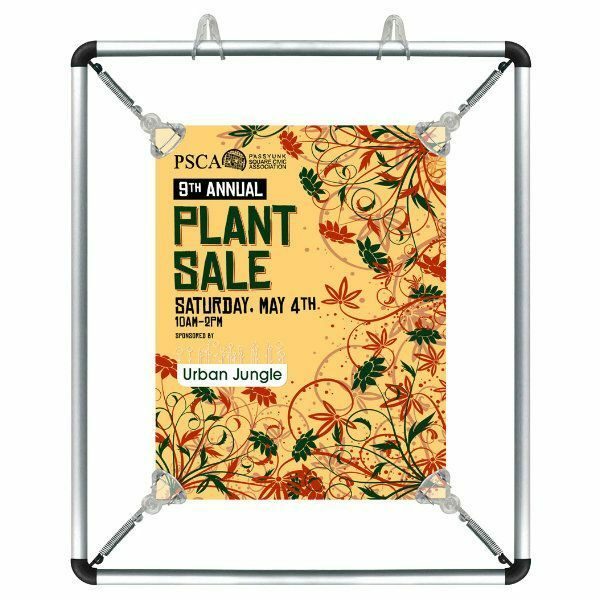 Overall Size: 12.44" x 14.96"
Viewable Area: 8.5" x 11"
Packing Size: 2.17" x 1.69" x 1.18"
Displays Market presents a distinctive low cost print holder. 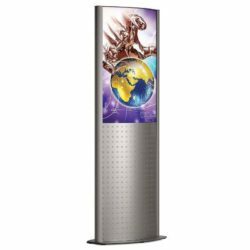 This aluminum stretch frame jazzes up your commercial environment with its silver aluminum look and black matte finish corners. 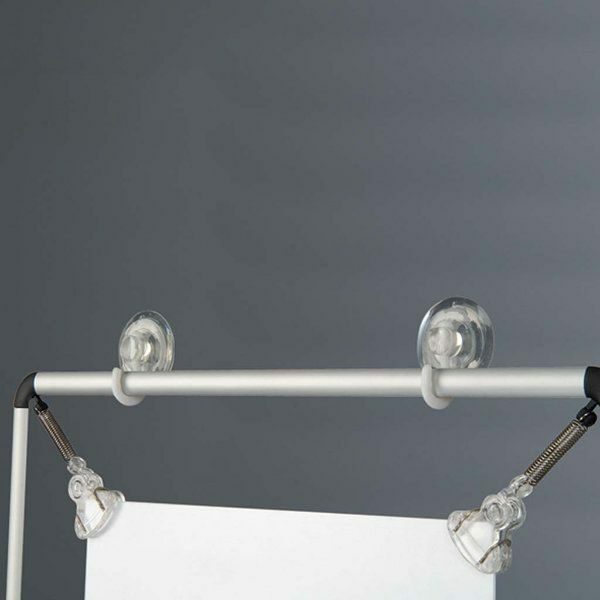 Double sided stretch frames look spruce with their clear clips holding banners tightly. 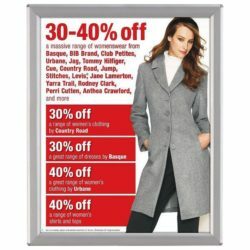 Less expensive compared to traditional snap frames, these indoor sign holders can be used horizontally or vertically. 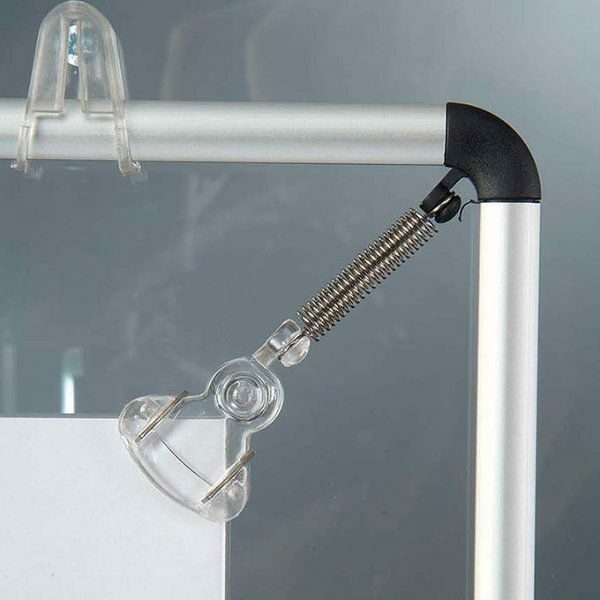 Easy-to-use and easy-to-change your poster. 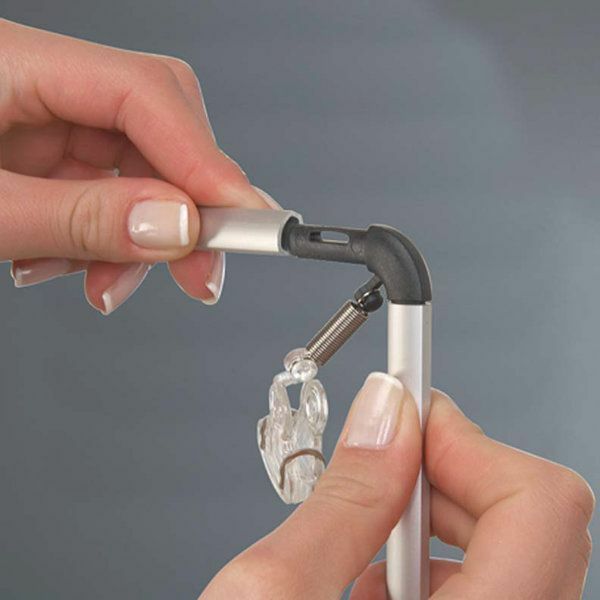 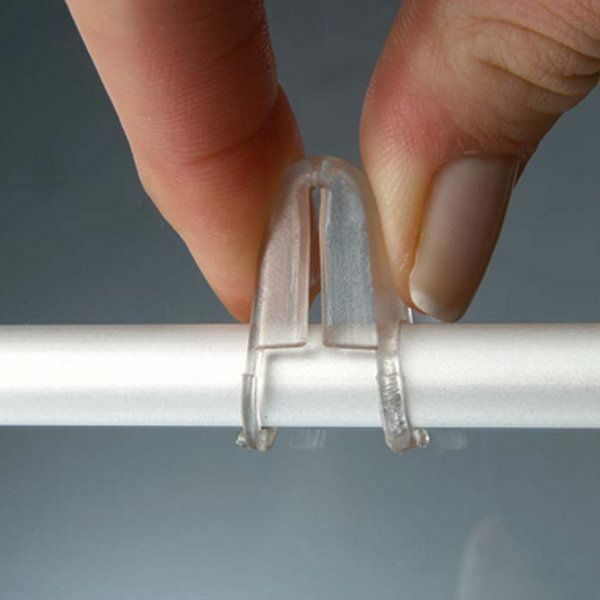 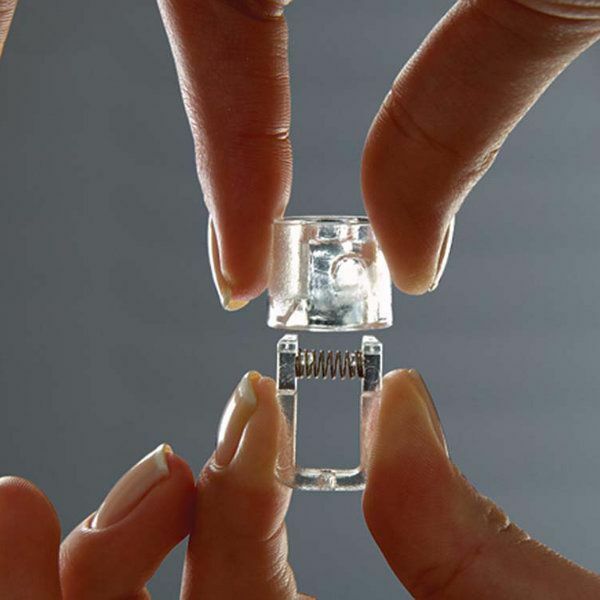 Simply slide your banner inside the clear clips at 4 corners. 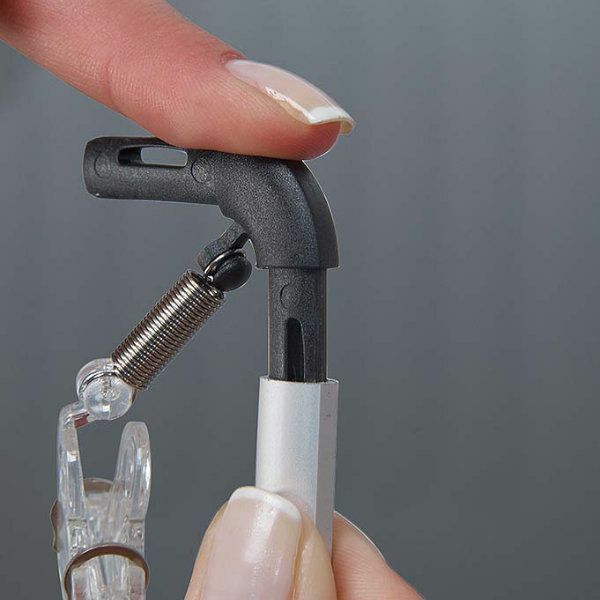 What’s more, once mounted on the wall you can refresh your artwork without taking it off the wall. 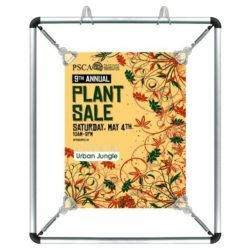 These low cost frames can also be used in front of shop windows with suction cups or clear strings. 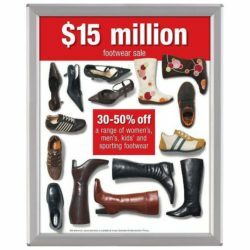 It’s recommended to display only paper printed posters any heavier material such as vinyl or textile may damage the springs at the corner. 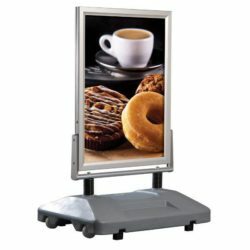 Not sure yet whether these quick frames are convenient for your business environment? Would the following examples field your question Where to use these quick-to-change sign holders? 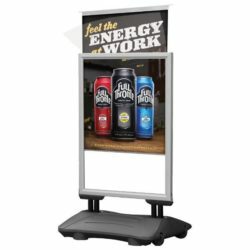 Aluminum print holders also known as announcement signs for restaurants are not only favored by restaurants but also by many other retail businesses having a high foot traffic as schools, lobby, meeting rooms, gas stations, shops, banks, nail shops, pharmacies, public areas to post various messages, deals, notices, sales or menus.